The Smarti is an automatically folding compact 4mph mobility scooter from trusted brand Monarch. With this scooter you won't have to waste time unfastening clips or pulling levers. Price excluding VAT.(Incl. VAT £3,120) *VAT Relief available on this product. The Smarti is an automatically folding compact 4mph mobility scooter from trusted brand Monarch. 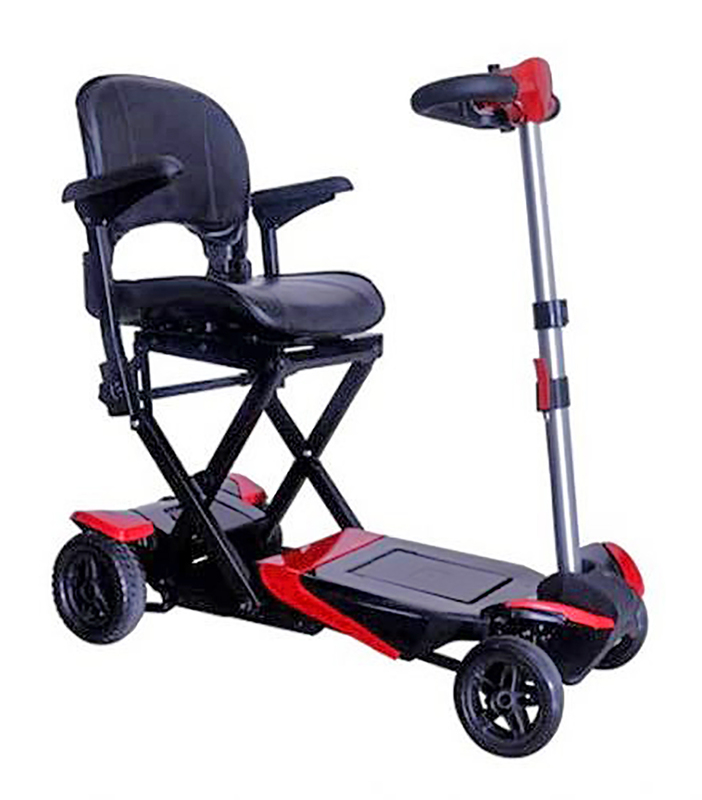 With this scooter you won't have to waste time unfastening clips or pulling levers as it comes complete with an excellent remote control which activates the folding mechanism. Simply hit a button and watch the Smarti unfold in a matter of seconds. Its compact design makes getting the scooter in-and-out of the car boot easier, which if you want to use in conjunction with a car is perfect. The Smarti has an extremely comfortable padded seat, adjustable tiller, and excellent manoeuvrability. The control panel has an adjustable dial, allowing you to control your speed to match someone's walking pace – simply drive at a speed that's right for you. The lightweight lithium battery can provide a travel distance of up to 10 miles on a full charge.